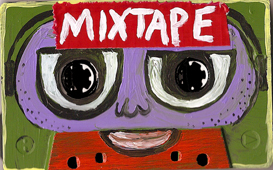 The final Tom Museum exhibition, MIXTAPE, is opening on Friday, April 11th, 2008. The show will feature a variety of audio recordings and art made by artists from Pennsylvania, Ohio, Louisiana, and Virginia. Cassette player listening stations will be available throughout the house during the exhibition.